Automatic tire inflation systems are for sale at BENLEE. We sell the Meritor, PSI system and them in stock, for keeping your semi trailer and truck tires inflated. This is a central system that keeps tires inflated when the get a leak and allow you to get back to you home base to get the tire repaired. The price is cheap when compared to getting stuck or worse yet causing an accident when a tire rips apart. We stock all the parts and system. These inflation systems are great tire and money savers. Texas, Ohio, Florida and More! Roll off Pup Trailers for Sale at BENLEE are in stock for same day shipment. By direct from the Manufacturer-BENLEE. 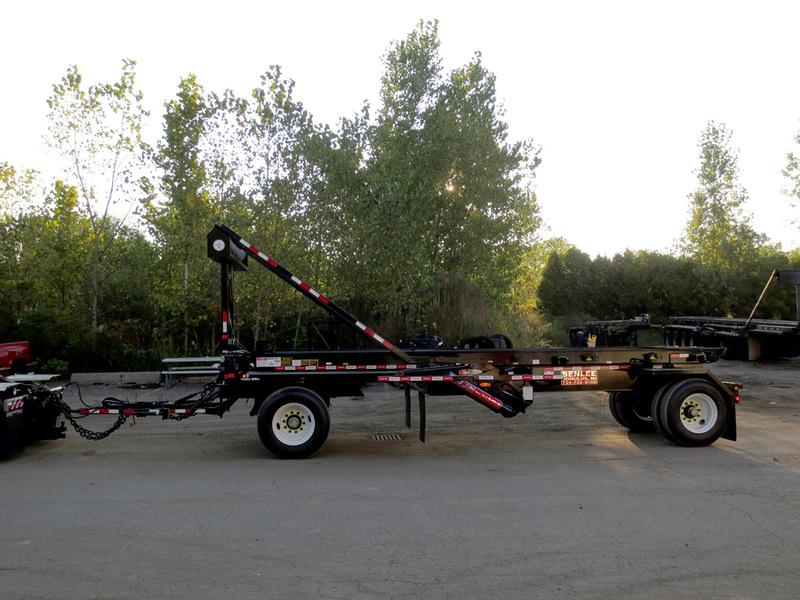 We have the best design and the best up time for every type of Pup Trailer that you may need. 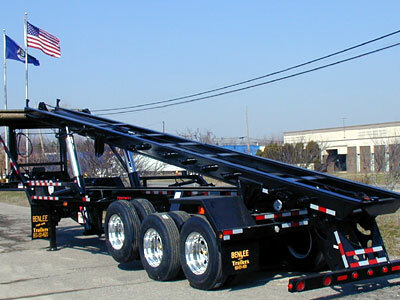 We work with Premier Truck Sales and Rental, to Rent Pup Trailers-Call-216-642-5000. They also sell Used Pup Trailers. These are Semi trailers that can double your load! Carry two boxes, containers at once. If you are in Texas, NC, Ohio, Florida, California, North Carolina and more! Call us at 734-722-8100 for a quote. If you are looking for Pup Trailer Manufacturers, call us. We make and sell-Dead Pups, no hydraulics, and a live pup, full hydraulics. If you have a roll off truck, roll off trailer, dump truck, or side dump, call us! Tarp Systems-Roll Rite, Donovan and More! Roll off trailer safety is very important to at BENLEE. There are a number of things we do to make our trailers safe! Lug Nuts coming loose and tires falling off while driving literally kills people. A simple device we saw at OmniSource years ago is now standard on all our trailers. It is called a Wheel Check. It is a small plastic device that fits over lug nuts. They have an arrow built into them. When a lug nut comes loose, the arrow is pointing in another direction, so it is easy to spot loose lug nuts. See below for how they look when all in a row. Call us to discuss Safety to Call us to buy at BENLEE Roll off trailer.